Investment banking business in India should be enjoying bumper fees after a record year of dealmaking. It's not, and big banks blame in-house teams of advisers that have proliferated as the country's top family-owned conglomerates tighten their grip. 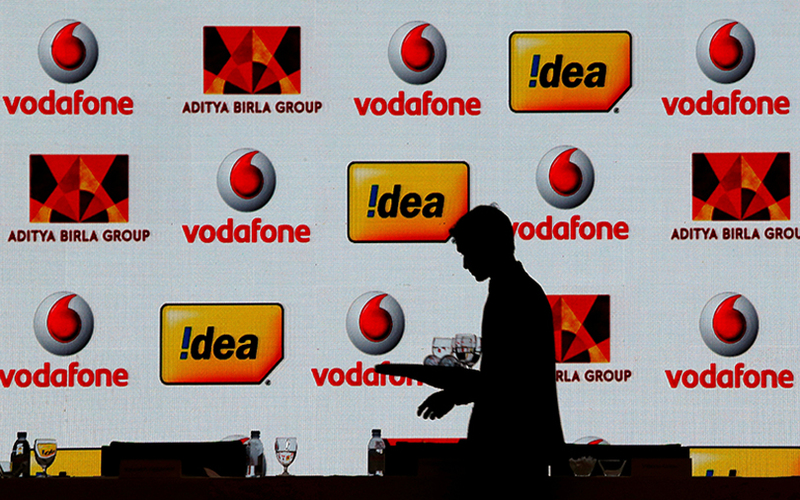 This week's $23 billion tie-up between Idea Cellular, controlled by the Aditya Birla Group, and the Indian business of Vodafone Group, is the latest example of a trend that is squeezing major international investment banks. Many are struggling in a market that has long been difficult, thanks to messy deals, paltry fees and local challengers. Bankers had been circling both sides of the telecoms mega-merger since it was first mooted late last year, when competition in the sector accelerated dramatically. In India, deals worth more than $1 billion are rare. In the event, Vodafone hired six advisers: Morgan Stanley, Robey Warshaw, Bank of America Merrill Lynch, Kotak Investment Banking, Rothschild and UBS. Instead of tapping bankers, the Aditya Birla Group relied on their in-house team, which includes Saurabh Agrawal, a former South Asia head of corporate finance at Standard Chartered, whom it hired last year as head of corporate strategy, and former Morgan Stanley banker Ashish Adukia, who joined nearly three years ago. Earlier this year, it also hired Ankur Dalwani, a former managing director at Jefferies in India, according to a source familiar with the move. "Investment banking is monthly tracking of revenue that you've made, investment banking in corporate is monthly tracking of ideas that you have generated. That's the difference," Adukia said in an emailed comment. The trend, say bankers, is about bringing back control for Indian tycoons behind some of its biggest companies. One source with direct knowledge of this deal said Birla took a direct role in the deal, assisted by Agrawal. "In some cases, the company in the middle of a transaction won't even copy the bank advising on the deal when sending mails finalizing the details. It's all about keeping control of each and every decision," said one banker who has worked with big Indian conglomerates, including Birla. "Increasingly you will see the large companies roping in external advisers only in those cases where they can't bridge the gap. It will mainly involve the markets where they have no presence or no knowledge." Birla and Idea did not immediately respond to requests for comment on the decision to leave out advisers, although one separate source familiar with the deal said the company felt its team to be "adequately equipped". Elsewhere in India's corporate landscape, high-profile banker appointments have proliferated. Bank of America dealmaker Ankur Verma joined Tata Group's holding company last month. A Tata spokesman said Verma will have diverse responsibilities. Former RBS and CIMB banker Viral Gathani last year joined Vedanta Resources as head of corporate finance strategy. "The financial sector's position in the global economy is being somewhat curtailed following the various financial crises that we have seen, and the resultant increased regulations on the sector," Gathani said, in response to a query on his move. Large Western companies also assemble in-house M&A experts, but they mostly continue to use external advisers while executing large takeovers, and in-house teams in the United States and Europe tend to be modest in size. Asia, led by China and increasingly India, is challenging that order. The pain of losing top talent and fees is acutely felt in markets like India, already one of the industry's toughest regions, where many have pulled back or out altogether. Compliance demands are rising and competition for talent is increasing, but fees are going in the opposite direction. Indian companies struck a record $72 billion in M&A deals last year, doubling from the previous year. However, total fees for investment banking, including M&A, debt and equity, declined to $463 million last year from $491 million a year ago, and was sharply lower than $682 million in 2014. Bankers said many Indian companies no longer wanted deal-specific advisory services, but were looking for advice across due diligence, M&A, debt and equity raising, and did not want to deal with multiple banks for corporate finance services. "The corporates think they can have a much better control over a transaction if they keep it close to themselves, and can avoid any conflict situation that some of the foreign banksmay have," said one M&A banker with a U.S. bank. India Inc's bet is not without risks, especially for more complex international deals, or where companies require considerable fundraising. But for many, that's not yet. "Most of the top Indian corporates are very cash rich and they don't need balance sheet support, so they would say why waste a few million dollars on purely advisory services?" said one of the bankers with a foreign bank in Mumbai. "They can get two, three bankers at a fraction of that cost," he said, referring to their annual salary.